No. I am not talking about the James Bond film. 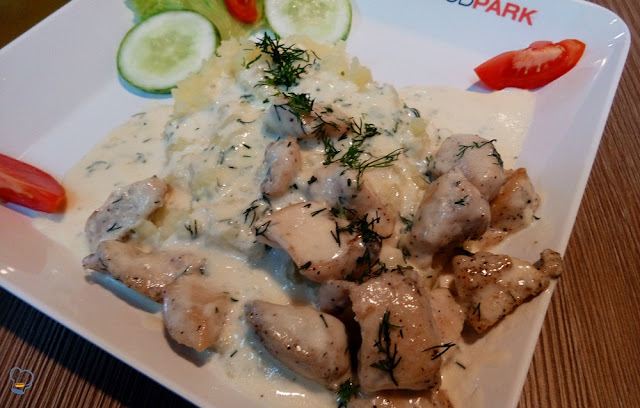 I am talking about this dish made by a Russian chef. I was at Central Festival Food Park not so long ago looking for something new to try when I spotted the sign "Russian Food". It got me excited. I decided right then what I wanted for lunch. I can no longer recall the last time I had Russian food. It has been ages ago. Long before I have made a major career change. It was in the northernmost part of China when I was first introduced to the cuisine of the largest country in the world. I embarked on a ten-month teaching stint at a university in a city two hours away from the Russia- China border. Its' close proximity to Russia resulted in an influx of Russian students wanting to learn the Chinese language. While there, I lived in an apartment building where all the Russian students also lived. I made great friends who cooked me some of the best Russian dishes. 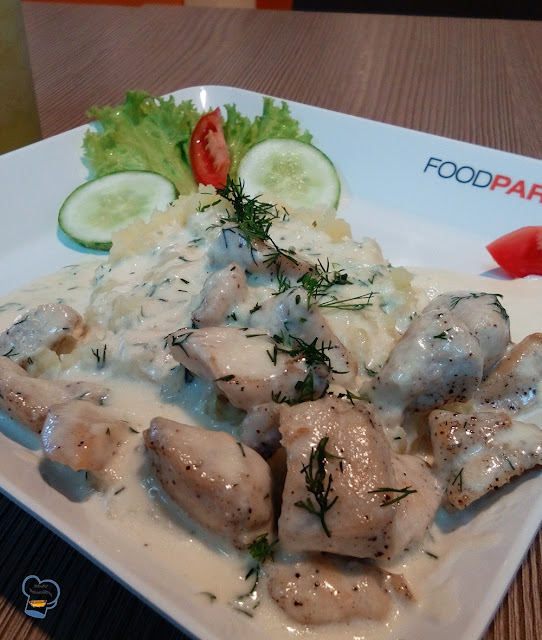 And this chicken in creamy white sauce served with mashed potatoes was one of them. The dish took me back to the days of potlucks and parties we shared. Good memories I will cherish forever. 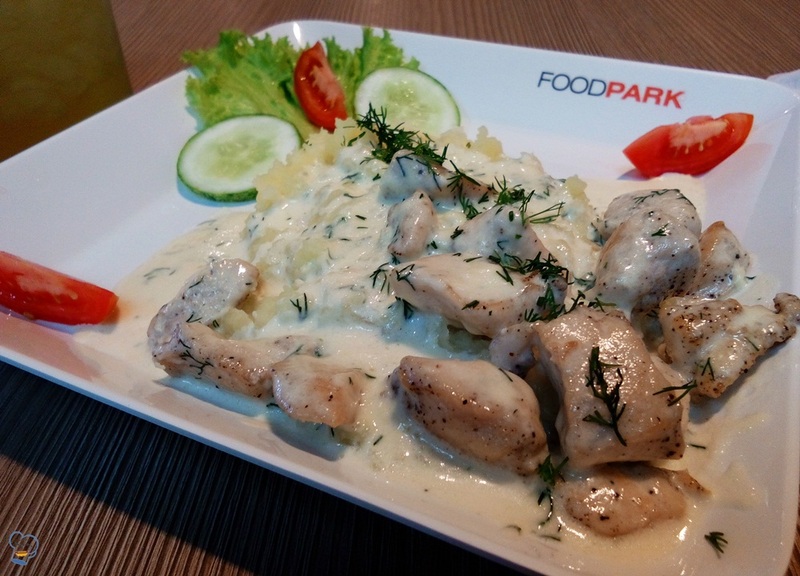 Soft mashed potatoes with chicken in a creamy white sauce, garnished with fresh rosemary leaves. I couldn't ask for anything more. It really made my day.